Stork Legal Pty Ltd trading as Perth Property Lawyers (“we”, “our”, “us”) is committed to protecting your privacy. We recognise that you have a right to control how your personal information is collected and used. We know that providing personal information is an act of trust and we take that seriously. We only collect personal information if it is considered reasonably necessary to pursue at least one of our functions and activities in the course of providing legal services. (c) accounting and corporate administration. The personal information we collect about you will vary depending upon how we interact with you. (e) you supply goods or services to us. Examples of personal information that we collect include details like your address, telephone number and email address. We may also collect details such as your date of birth, your title or job description and employer or organisation. From time to time, we may also be required to collect sensitive information about you in order to provide our services, for example information about your health or your ethnicity. We will only collect sensitive information if you consent to its collection and if the sensitive information is reasonably necessary for us to carry out at least one of our functions or activities, or if the APPs otherwise permit such collection. Directly from you: We usually collect your personal information from you directly when we speak to you on the telephone, when we correspond with you by letter or email, when we meet with you in person, if you provide us with documents that contain your personal information, or if you provide information to us through our website. When we collect personal information from you we will do it in a lawful, fair and non-intrusive way. From third parties: Sometimes we will collect your personal information from a third party. We will only do this if it is unreasonable or impracticable to collect the information from you directly, or if we are required or authorised by an Australian law or court/tribunal order to do so. If you supply us with the personal information of a third party, such as a spouse, colleague or friend, we accept that information on the condition that you have all the rights required from that third party to provide that personal information to us to use for our functions and activities. If you wish to deal with us without giving us any of your personal information, you may do so on an initial enquiry. However, we will not be able to give you advice or otherwise represent you on a legal matter, unless you provide us with all necessary personal information. We take reasonable steps to protect your personal information from misuse, interference, loss, unlawful access, modification and disclosure. We store any hardcopies of documents containing your personal information securely. Electronic documents are stored with security measures implemented to ensure the security and confidentiality of the documents and the personal information contained in them. Generally, we will only use or disclose your personal information for the purpose that we collected it for. However, we may use or disclose your personal information for secondary purposes that relate to our functions and activities if we have your consent do so, or without your consent if the APPs permit us to do so (for example, if you would reasonably expect us to use your information for the secondary purpose). We will only use your personal information for a secondary purpose if it is related to the reason why we collected your personal information. We will only use your sensitive information for the purpose for which we collected the sensitive information about you. In some circumstances we are permitted or authorised by or under an Australian law or a court/tribunal order to use or disclose your personal and sensitive information. For example, if our disclosure of your information will reduce or prevent a serious threat to life, health or safety, or our disclosure is in response to any unlawful activity. Any personal information given to us will not be shared, sold, or given to any third parties, unless required or authorised under the exemptions set out in the Privacy Act. (b) you have consented to us using or disclosing your personal information for direct marketing, or you would reasonably expect us to use or disclose the your personal information for direct marketing purposes. If we do use or disclose your personal information for direct marketing, we will provide you with a simple way to unsubscribe from receiving our direct marketing communications. If you follow our process for unsubscribing, we will no longer send you these communications. We will not use or disclose sensitive information about you for direct marketing purposes unless we have your consent to do so. We will also act in accordance with the Do Not Call Register Act 2006 (Cth) and the Spam Act 2003 (Cth). If we receive personal information that we did not take any active steps to collect, we will determine whether we would have been permitted to collect that information as part of pursuing our functions and activities. We will destroy or de-identify unsolicited personal information that we would not collect as part of our functions and activities if it is lawful to do so and in accordance with our document destruction policy. If the information is of the type that we would collect to pursue our functions and activities, it will be protected by our privacy policies and procedures. We aim to ensure that your personal information is accurate and complete. Please contact us if the information you have provided changes, and we will use all reasonable efforts to correct the information we hold. We may store the personal information that we collect either locally in Western Australia, or in our practice management platform’s cloud infrastructure. From time to time our IT suppliers and service providers may be required to access our IT and cloud infrastructure, and the personal information stored on it, to assist with resolving issues and maintenance. Our IT suppliers and service providers are located in Western Australia, and our practice management platform’s cloud infrastructure is located in New South Wales. Our arrangements with our practice management platform provider, and our IT suppliers and service providers, ensure that at all times we maintain control of personal information we collect, and prohibit those providers and suppliers from using or disclosing personal information for purposes other than providing services to us. If you would like to access the personal information that we hold about you, please write to our Privacy Officer at our contact details set out below. This right is subject to some exceptions allowed by law. We will respond to your request within a reasonable time. There are some situations set out in the APPs where we will not be able to give you access to personal information (for example, if giving you access would breach someone else’s privacy rights). Generally, we will not charge fees for giving access to personal information. However, we reserve the right to charge reasonable fees where requests for personal information contain complications or are resource intensive. If you would like to correct personal information that we hold about you, you can write to our Privacy Officer at our contact details listed below. If you believe that we have failed to meet our privacy obligations, or breached your privacy rights, you may make a written complaint to our Privacy Officer. Our contact details are set out below. The Privacy Officer will review your complaint, consider our conduct in relation to the complaint and the requirements of the APPs, and will consider appropriate action. The Privacy Officer will inform you of his or her decision within 30 days of receiving the complaint. If you are unhappy following the determination of the Privacy Officer, you may make a complaint to the Office of the Australian Information Commissioner. You can contact our Privacy Officer by email at mailroom@perthpropertylawyers.com.au or by post at Level 13, 251 Adelaide Terrace, PERTH WA 6000. If you would like to speak to our Privacy Officer please call us on +61 8 9254 6333. We will review and revise its policies from time to time. If any changes are made to this policy, we will post those changes on the relevant section of our website. Personal information, including sensitive information, will be “collected” if it is received or taken from a generally available public document and then stored in a record. (b) impliedly – your consent will be implied where your consent can be inferred from your conduct and our conduct. (b) the information or opinion recorded in a material form or not. Some examples of personal information include a person’s name, address and date of birth. Certain types of personal information are listed in the Privacy Act as being “sensitive information”. Some examples of sensitive information are information or an opinion about a person’s racial or ethnic origin or membership of a trade union, and information or opinions about a person’s health or health services provided to that person. (b) information about companies, individual partners or sole traders acting in a business capacity. 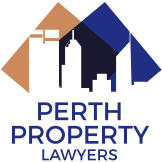 Perth Property Lawyers provides fast, high-quality property law documents and services on a fixed-fee basis. Our services are provided by senior property lawyers with local industry knowledge, and backed by a turnaround guarantee.